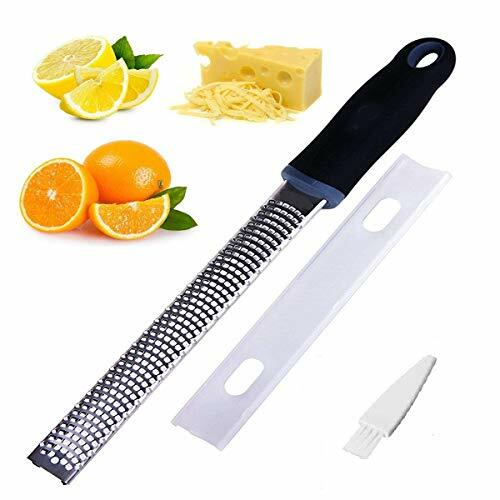 Grater/Zester Tool over 70% off! Just $3.51 SHIPPED! 73% off with code 9XN8R4VS. DISHWASHER SAFE: Our grater is totally stainless steel made, so you can put it in the dishwasher and it comes out nice and clean with no hassle. Save space:Replace your bulky, unsafe, and hard-to-clean box grater or heavy electric food processor with a single Grater-Slicer. Make cooking easier:Add strong new flavours with freshly zested ingredients without any bitter pith taste. Replace your bulky, unsafe, and hard-to-clean box grater or heavy electric food processor with a single slicer. Simply zip the cutter-knife across the rinds of oranges, lemons and limes.